When using CMake on non-GCC/non-Microsoft compilers – you often run into interesting problems. Especially true for embedded devices/cross-compilers. One thing that can bite you is the fact that CMake requires the compiler to pass a ‘smoke’ test. Unfortunately, if there are required parameters for your compiler, the smoke test part will fail. There are a few ways to solve this, the ‘recommended’ way seems to be via the CMAKE_FORCE_C_COMPILER/CMAKE_FORCE_CXX_COMPILER flags. This allows you to tell CMake what the compiler is and pass the smoke test. Generating photo-realistic faces has long been a holy grail for rendering. It’s the combination of a number of difficult problems – eyes, skin, hair, etc. These guys demonstrate a simple, innovative new technique for mimicking the complex skin structures that occur when a character makes different faces. They simulate these ‘micro-structures’ by using anisotrophic bluring/sharpening of facial textures. Good for both realtime and off-line techniques. So Rijksmuseum tells you to put down the cel phone. 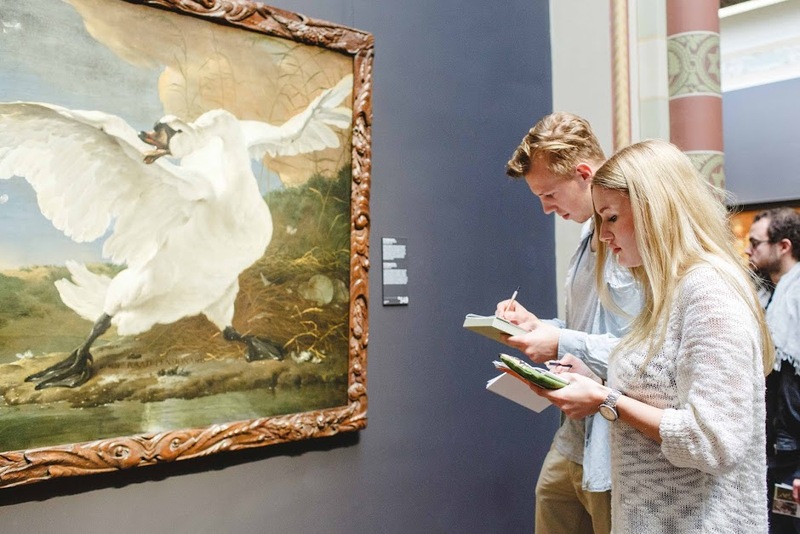 They give you a pad of paper and pencil when you enter the museum and encourage you to draw what you see – to help you experience the awe and wonder of art. They even blog/post people’s drawings.